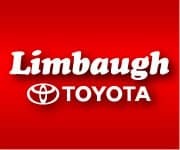 At Limbaugh Toyota, we know you are looking to get the best price on your next vehicle. In order to better serve you, we’ve put together some USED SPECIALS. Our deals, discounts and specials are constantly being updated, so keep checking back to find the vehicle you want! 2015 Toyota Tundra SR5 Black 4WD Automatic CrewMax 5.7L 8-Cylinder *COMPLIMENTARY LIFE TIME POWERTRAIN PROTECTION *, *CLEAN CARFAX...NO ACCIDENTS! *, *ONE OWNER*, *4x4*, *ALLOY WHEELS*, *BLUETOOTH*, *TOWING*, *BEDLINER*, *RUNNING BOARDS*, *121 POINT INSPECTION*. Recent Arrival!Immaculate, well cared for & fully inspected by our certified Toyota technician's is this 2015 Toyota Tundra SR5 in Black & Gray cloth interior with 56,646 miles. This 4x4 4Door Tundra is AutoCheck certified - one owner with no reported accidents and has a guaranteed buyback protection. It's also one of our Green Light vehicles and comes with Lifetime Powertrain Non-Factory Warranty, Good at Participating Dealerships - unlimited miles & unlimited years covering motor, transmission & drive axle for as long as you own the vehicle. Don't miss this.Call Mike, David or Steve at 1-888-903-2915 or visit Limbaughtoyota.com or come see us at Limbaugh Toyota in Birmingham, AL - Home to our famous Lifetime Powertrain Protection..
New Price! 2018 Toyota Tacoma TRD Offroad Red RWD *COMPLIMENTARY LIFE TIME POWERTRAIN PROTECTION *, **INCLUDES WARRANTY**, *CLEAN CARFAX...NO ACCIDENTS! *, *ONE OWNER*, *ALLOY WHEELS*, *BLUETOOTH*, *TOWING*, *BEDLINER*, *NAVIGATION SYSTEM*, *BACK-UP CAMERA*, *121 POINT INSPECTION*.This is a beautiful 2018 Toyota Tacoma TRD Off Rd RWD in Red & Gray fabric interior with ONLY 8,752 miles in immaculate condition, fully inspected by our certified Toyota technician's and still under factory warranty. It was never sold to a customer but was a program vehicle for us, practically new. This TRD Off Rd Tacoma is also AutoCheck certified - one owner with no reported accidents and has a guaranteed buyback protection. It's also one of our Green Light vehicles and comes with Lifetime Powertrain Non-Factory Warranty, Good at Participating Dealerships - unlimited miles & unlimited years covering motor, transmission & drive axle for as long as you own the vehicle.Don't miss this.Call Mike, David or Steve at 1-888-903-2915 or visit Limbaughtoyota.com or come see us at Limbaugh Toyota in Birmingham, AL - Home to our famous Lifetime Powertrain Protection. 2016 Highlander Toyota Limited Gray FWD *COMPLIMENTARY LIFE TIME POWERTRAIN PROTECTION *, *ONE OWNER*, *DVD PLAYER*, *POWER LIFTGATE*, *ALLOY WHEELS*, *BLUETOOTH*, *SUNROOF*, *3rd ROW SEATING*, *NAVIGATION SYSTEM*, *BACK-UP CAMERA*, *121 POINT INSPECTION*. Recent Arrival!Immaculate, well cared for & fully inspected by our certified Toyota technician's is this 2016 Toyota Highlander Limited in Gray & Black leather interior with 40,512 miles. This Loaded Highlander is AutoCheck certified one owner and has a guaranteed buyback protection. It's also one of our Green Light vehicles and comes with Lifetime Powertrain Non-Factory Warranty, Good at Participating Dealerships - unlimited miles & unlimited years covering motor, transmission & drive axle for as long as you own the vehicle. Don't miss this.Call Mike, David or Steve at 1-888-903-2915 or visit Limbaughtoyota.com or come see us at Limbaugh Toyota in Birmingham, AL - Home to our famous Lifetime Powertrain Protection.